PITTSBURGH (Reuters) - Federal prosecutors added more charges, including religious hate crimes, against the man accused of killing 11 Jews in a Pittsburgh synagogue, according to an indictment filed on Wednesday, as the city held funerals for three more victims. "Today begins the process of seeking justice for the victims of these hateful acts," U.S. Attorney Scott Brady said in a statement, adding that his office "will spare no resource" to do so. Eleven worshippers were gunned down on Saturday morning by a man who stormed into the Tree of Life Synagogue and opened fire, yelling anti-Semitic statements including: "All Jews must die." The attack, believed to be the deadliest against Jews in the United States in recent history, has fuelled a fierce political debate about white nationalism and anti-Semitism ahead of hotly contested U.S. congressional elections next week. 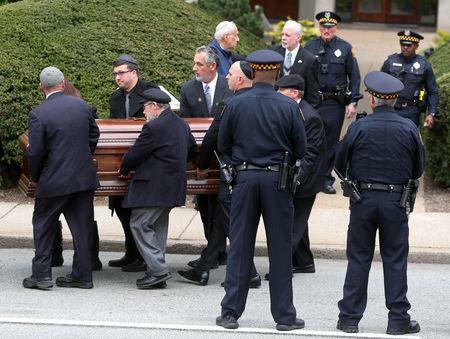 Mourners gathered for the funerals of Melvin Wax, 88, who was leading Sabbath services when the attack began; retired real estate agent Irving Younger, 69; and retired university researcher Joyce Fienberg, 75. 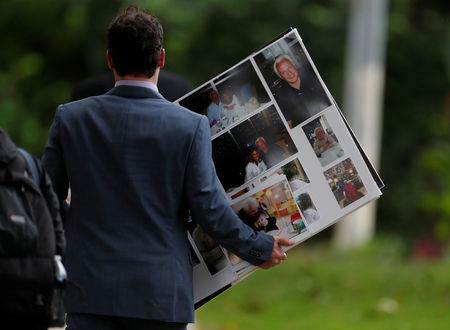 The after-effects of the tragedy still pervaded life on Wednesday in the Squirrel Hill neighbourhood where the synagogue is located. A grand jury voted to indict Bowers on 44 counts, according to a filing in federal court in Pittsburgh. He had faced 29 counts. The new charges included 11 counts of obstruction of free exercise of religious beliefs resulting in death, and various charges related to his use of a gun in anti-religious violence. The synagogue attack has heightened a national debate over Republican U.S. President Donald Trump's rhetoric, which critics say has contributed to a surge in white-nationalist and neo-Nazi activity. His administration denies he has encouraged far-right extremism and is instead attempting to unify America. Amid the first funerals for victims on Tuesday, Trump visited Tree of Life. Thousands protested his presence in the city, accusing him of using rhetoric that has fuelled anti-Semitism in America. Several thousand protesters, an ethnically mixed crowd of all ages, held an anti-Trump rally about a block away from the synagogue just as his visit began, singing Old Testament psalms and carrying signs with such slogans as: "We build bridges not walls." Trump made no public comments during his visit, but wrote on Twitter on Wednesday morning that his office had been "shown great respect on a very sad and solemn day" in Pittsburgh. Trump's visit to Pennsylvania's second largest city came seven days before elections that will determine whether his Republican Party maintains control of both houses of Congress or whether the Democrats seize a majority in one chamber or both. 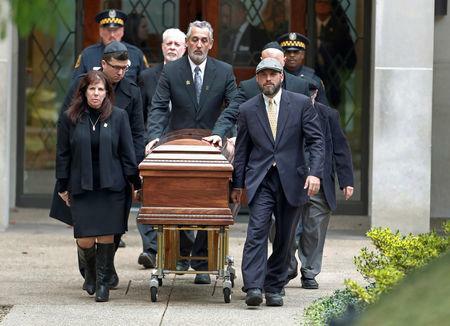 Jodi Smith, a Pittsburgh native, joined mourners ahead of the Wax funeral at the Ralph Schugar Chapel and remembered him as a "very polite, gentle man."